Why Buy From McDonald Hyundai? Come find out why McDonald Hyundai is the Fastest growing Hyundai store in Denver. Better Selection – Over 450 New Hyundais in Stock. Plus, over 450 Used Vehicles to choose from. Lower Prices – Great prices on new Hyundais. We Want Your Business – Let us prove it! Save Time – McDonald Hyundai strives to complete each transaction in less than 2 hours. The new 2018 Hyundai Tucson is the family-friendly SUV you’ve been dreaming of, and it’s on sale now for a great price at McDonald Hyundai. Buy a new 2018 Tucson SUV and you’ll enjoy first-class features, premium entertainment technologies and innovative safety options that combine to give you an exceptional experience. Schedule a test-drive at our Hyundai dealership near Denver, CO, to explore the 2018 Tucson interior amenities and see how it performs on the road. 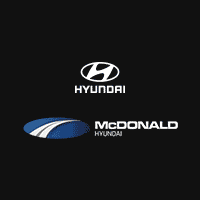 Begin the car-buying or -leasing process today by learning about your Hyundai financing options at McDonald! Come down to McDonald Hyundai to view our selection of 2018 Tucson SUVs. Apply for Hyundai financing near Denver, CO, or speak with our team to see how you can lease a new Hyundai Tucson!